If you find confused about all the health care changes and find yourself asking “how will Obamacare affect me?”, you’re not alone. How health care reform legislation affects you varies greatly depending on your age, who you work for and many other factors. It is important for each of us to understand how Obama care can affect all of us individually and professionally. Some major health care provisions have already been put into effect. Elderly: The elderly now receive free preventive services under Medicare, annual wellness visits and personalized prevention plan services. Once those with Medicare prescription drug coverage enter the “doughnut hole” coverage gap, they will be entitled to 50 percent off certain brand-name medications.. Medicare beneficiaries earning $85,000 or more will pay higher Part B premiums until 2019. Those with Medicare Advantage plans may lose some benefits or experience an increase in co-payments. Employees of a large company: Employers with 50 or more full time equivalent employees will be required to provide coverage or pay a penalty starting in 2014. Employers must use the number of hours worked by part time employees to determine if they have more than 50 full time equivalent employees. The health benefit must be offered to employees that work 30 hours or more per week. The plans must meet minimum coverage requirements (60% actuarial value) as well as be affordable to the employee. The affordability requirement is satisfied if the cost for single coverage does not exceed 9.5% of the employee’s family adjusted gross income. Low-income employees: Even without children or a disability, those among the lowest-income workers will be eligible for Medicaid as of 2014. Those who earn less than 400 percent of the federal poverty level (about $88,000 for a family of four) will be eligible for subsidies to help buy coverage if they are not offered “affordable” health coverage by their employer. The expansion of funding for community health centers, designed to offer free and reduced-cost care, will also provide relief. Children with a pre-existing condition: Group health plans and health insurance issuers may not impose exclusions on coverage for children with pre-existing condition. Provision applies to all employer plans and new plans in the individual market. Adults with a pre-existing condition: Starting 2014, it is required all group and individual health plans cover adults with guarantee issue policies that do not impose pre-existing condition clauses. Insurance exchanges will be created to allow for individuals to purchase individual insurance. Insurers cannot place annual or lifetime limits on coverage, nor can they deny coverage or charge higher premiums due to a pre-existing condition. Unemployed and uninsured: Most individuals who are unemployed and uninsured likely qualify for Medicaid under the coverage expansion that began in 2010. The expansion of funding for community health centers, designed to offer free and reduced-cost care, will also provide relief. Certain uninsured individuals with pre-existing conditions can obtain coverage through the temporary high-risk pool as well. Small-business owners: Organizations with 25 or fewer workers may be eligible for a tax credit to help provide coverage for employees. Those with 50 or more full time equivalent employees must provide benefits or incur a penalty starting in 2014. Small-business owners will be able to buy insurance for employees through insurance marketplaces by 2017. Young adults: Children may stay on their parents’ policies until age 26. Those who buy coverage on their own or through the exchanges can obtain lower cost catastrophic coverage. Younger Individuals who obtain traditional benefits packages will pay less than those who are older than age 26. 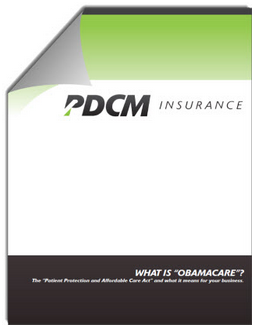 Individual Coverage Mandate: In 2014, individuals are required to be covered by health insurance or pay a penalty. Penalties differ between single and family and will increase over time. Want to know more about these changes and how they’ll impact you?